Depending on how far along you are at the time of your loss, you'll have several choices about what to do for your baby's final disposition. However, at any stage of pregnancy loss, you can have—and may want to have—a funeral or memorial service. At the same time, some people do not want to have a funeral. If this is you, honor yourself and your own wishes. 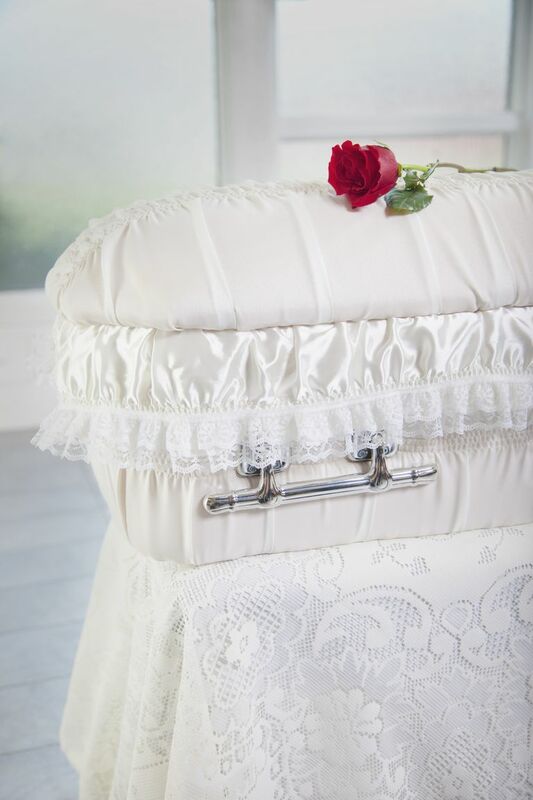 There is not a right and wrong when it comes to funerals after a miscarriage or stillbirth, and what is best is doing what is best for you, not what would be best for someone else. Funerals are an important part of the grieving process for many people, a way to say goodbye and to honor the memory of a loved one. It may sound overwhelming to have a room full of people to face, but you might also find it easier to face everyone in a short period of time. A funeral can also help you find some closure, and be one of the steps in emotional recovery from a miscarriage or stillborn birth. Although you may have said your goodbyes at the hospital, you might find the funeral to be a more final and satisfying goodbye. Depending on how far along you were at the time of your loss, and particularly for stillborn babies, you may have a chance to see your baby one last time. The act of choosing all of your baby's final arrangements can be therapeutic for a number of reasons. It gives you the opportunity to make some decisions for your child when so many of those decisions were taken from you. Since funeral planning is something we are used to after a death, it may help you come to terms with the sudden loss. It's not unusual to take as long as a week to complete all the funeral arrangements. It's okay to take as long as you need. Be sure to tell well-meaning family and friends that you want to make the choices, no matter how long it takes, or they may think you are overwhelmed and try to take over the planning. Don't let anyone rush you into a service before you are satisfied with all your decisions—especially since you, the mother, will be going through your own physical recovery and healing. You should feel well enough to sit through a service and well-rested enough to face your family and friends. Many funeral directors are very sensitive to parents' wants and needs. If you want to be involved in dressing your baby for the funeral, say so. If you'd rather not, don't feel forced. You can also request that the staff of the funeral home take extra footprints or collect locks of hair for you, if possible. If you want pictures of your baby at any point in the preparations or at the time of the funeral, speak up. You may want to designate a friend to operate the camera. Don't let other people tell you it's not appropriate or morbid. Many people do take pictures, and find these comforting later on, even if they were first discouraged from doing so by well-meaning friends or family. The most important thing to keep in mind is that the funeral is your way of honoring yourself and your baby, not that of someone else. If you have a service it can be as short or long as you choose. Some people find meaning in a Christian reading for the service, whereas others prefer non-religious readings. It's okay as well if you only wish for a moment of silence. Your agenda doesn't need to be sad. While you are honoring your baby, funerals are meant for those who are living, not those who have passed. Make it your own. Where Should I Have the Funeral? You can have a funeral any place you feel comfortable. The funeral home will have viewing rooms, or you can make arrangements with your church. You can also have a short service at the gravesite if you are having your baby buried. Some families choose to have the service at their house or in a public place, like a beach or garden. Just be sure to clarify with your funeral director who is responsible for obtaining any necessary permits, if you're planning to use public areas. A funeral can be a positive experience and a beneficial step on your path through grief. Whether you had a miscarriage or stillbirth, you can have a special ceremony to honor your baby's memory—even if it's informal and in your own home. Whether or not you choose to have a funeral, there are other ways in which you can honor your baby. Here are a few memorial ideas, as well as some more unique ways of making sure that your child is not forgotten. Capitulo, K. Evidence for Healing Interventions with Perinatal Bereavement. MCN. American Journal of Maternal Child Nursing. 2005. 39(6):389-96. Donovan, L., Wakefield, C., Russell, V., and R. Cohn. Hospital-Based Bereavement Services Following the Death of a Child: A Mixed Study Review. Palliative Medicine. 2015. 29(3):193-210.